Player Unknows Battleground (PUBG) is one of the most popular played video game around the globe. 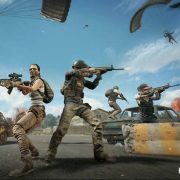 PUBG has its huge fan base on PC server as well as the Mobile server. A Chinese game making company named Tencent Gaming has made the mobile version of the game which identical of main PC counterpart. Because of this mobile version can be played anywhere and it is also free to play, that is why this mobile edition has become a bigger hit than the original edition. In regions like South Asia, Korea, Japan, India, Indonesia, Vietnam, Singapore have taken the highest pace in the game. The game making company Tencent Gaming also had launched an Emulated version of the game with an official emulator package, which has been widely accepted by the fans around the world. This Emulator made it possible to play the mobile version of the game in the PC using conventional keyboard and mouse control. 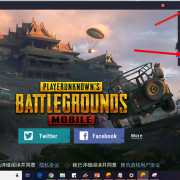 Though there are many other emulators available over the internet, through which PUBG Mobile can be downloaded and played in pc for free, none of them do offer such lag-free gameplay and optimum performance like the Official emulator of the game known as Tencent Gaming Buddy. Here first time comes up the topic of fare matchmaking, as the PC players using emulators are having an advantage in control because of the keyboard-mouse scheme while the mobile players are struggling with touch controls. On this topic, the company (Tencent Gaming) have confirmed that there is a strict algorithm in use which makes sure that the Emulator using players end up in a match where other players are also using Emulators, and the mobile players will end up facing mobile players only. If a mobile player and an emulator pc player want to play co-op as a team then they will end up in a match with others are also with a same kind of team. Which ensured the fair matchmaking system. The company also has assured that they are taking this matter very seriously and they will keep doing there best to keep this fair matchmaking policy intact. While the Emulator was newly launched in the market at that time it faced many hacking related problems, where the hackers tend to bypass the system of detection of the emulator which enables the fair play system and end up with facing mobile players, which gives those emulators users a distinguished advantage. After several reports by many players and fans the Company, took this matter into utter seriousness and suspended many players’ accounts whoever have been identified as a hacker or cheater in any manner. Now with the game running on the display, there are many more security algorithms running behind the scene all the time which makes sure that a player is not cheating in any manner. While talking about cheating and hacking in the PUBG Mobile game, one should know what kind of cheats and hacks we are talking about. There are mainly a couple of cheats which are always in demand by the cheaters and hackers for every online multiplayer game, like speed-hack, god-mode, wall-shooting, and Aim-bot. 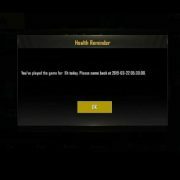 Even in the case of PUBG Mobile, these cheats are very high on demand and thousands of PUBG mobile player around the world daily search for such cheats over the internet. Speed-hack enables the player to run with an insane speed, to move very quickly from one place to another. God-mode is the cheat which allows the player to have unlimited health-point in the game, because of which killing that player in the game becomes impossible. Wall-shooting is a cheat using which a player can see and shoot through the wall while staying behind a cover, where other players can not spot him. Aim-bot is one of the most demanded cheats, which enables an auto-targeting system, using which the gun pointer locks on the target automatically and all the gun-shots hit the target by default. To use such cheats in the game there is no ready-made software available in the market. As this is completely illegal and also unethical to do, you will not find a one-stop shop for this type of cheats, especially for games like PUBG Mobile, FortNite etc. But doing so is not possible at all, it cannot be said. Any person with adequate knowledge can play with internal files and programming codes of the game. By editing in those codes and executing them, all the above-said cheat options can be made to happen. As the Mobile version of the game is also a cross-platform game which runs on Windows PC, OSX, iOS and Android, the hacking codes and techniques for each of the devices will be completely different. If someone believes that there are no hackers in the game he is absolutely wrong, there are hundreds of videos on YouTube in which hackers have been spotted. Like other digital system or software, a game can be hacked too. But the hacking thing is not a piece of cake which can be done by anyone. Though you may find some instruction, some tools, some specific steps which let you hack the game to get the desired result, but before to try any of those remember you may become a victim of virus or malware attacks while downloading those tools from unknown sources. Not only that your account may be suspended or blocked forever along with your IP address and your devices IMEI no. After you will not be able to play the game at all. Not only that you may need to “root” your Android device, which will let you use many banned .apk mods and tools, but will also violate all the device warranty. In the case of iOS devices, the term is “jailbreaked”, which is similar to rooting, which enables the user to have full control over the device and its software. Android is a great marketplace for apps specifically targeting rooted Android devices. These devices after getting rooted are able to perform those tasks which were not even imagined before sometimes. Tasks ranging from finding Wi-Fi password to manually controlling device performance and battery backup. Everything can be done on the rooted android device. The user can also bypass the anti-cheat software of any game by allowing any specific cheat tool to control the device. 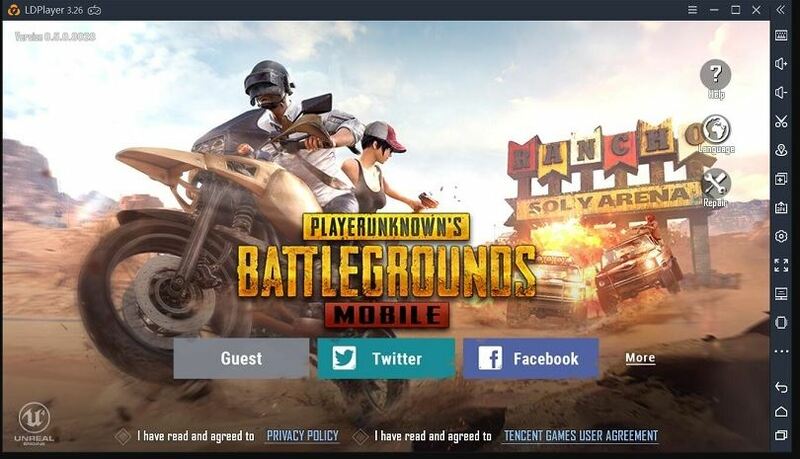 While there are several PUBG Mobile .apk and mods available online which allows hacking the game, the user most likely to end up with a banned account, which may even lead to severe malware infection in the device. Which ultimately affects the device’s performance and, in some cases, personal information theft can be noticed by the user. So, if someone wants to really hack the game should try any of them or all of the available methods of hacking the game over the net. 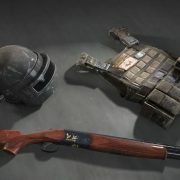 Should use multiple fake accounts to try the cheats in the live game, in live server. Should also use spare devices, which may not affect users’ personal digital usages. Most importantly, the Game company is every day trying there best to identify any possible way of hacking and to take counter measure for it. Even after that, you are adamant to crack their system, you should start learning programming and coding techniques which are used in the games, also you should start learning algorithms to understand the system better and to be a master at it. As the pro hackers are also very proficient in this, and to hack a masterpiece like this you should be up to the mark. There is no easy way for sure. Even after all this discussion you still thinking, are there any “cheat codes” available for the Pubg game like GTA Vice city or GTA San Andreas, the answer is NO, there is not anything like that available anywhere in the world for PUBG Mobile. Which let the pc-emulator players to play against Mobile players, makes it easy for them to win. If this is the question in your mind now, and you are desperately looking for a specific answer, the answer is YES, it is possible and can be done by anyone if he follows the below-listed steps. But make sure you read the whole article so that you also become aware of the outcome and the problems which may occur. Now right click on LD Player icon on the desktop and click open file location. This will take you to the installation folder. Now open the folder named vms. There you can see a folder named ledian0. Open it and you can see a file named vmdk. Now replace the file with the bypass configuration we downloaded. Restart your PC and start the LD Player and start the game. You will login in the game as a dummy mobile player and then there will be no message displaying that your emulator is detected, hence you will matchup against the mobile players only, which will give you a big advantage and will help you to get easy wins. First of all, do not download the latest version of the LDPlayer as it will create an audio glitch in the game because of which you will not be able to hear any sound in the game, but a bugging or ticking sound in the game. The second problem is, even if you do everything right then you have to edit the button configuration which is a hectic job, though LDPlayer offers almost all the facilities of Tencent Gaming Buddy. The third problem is the lag and stutter. As this is not the official and optimized solution for the emulated game, it will have a lagging problem. While in Tencent Gaming Buddy it will give you 60FPS performance in LD player it will be maximum of 25-30FPS performance. Which will irritate you all the time if you are used to with high FPS gameplay? Though this process is working till date, the same procedure does not work with all other emulators over the internet. This procedure is still undetected and till no report of getting banned because of using this system. Though it cannot be guaranteed that the situation will be the same after a couple of months. So, beware and take responsibly on your own hands if you get caught by the servers and get banned. We do not support using such techniques for real gaming on a live server at all. Hacking is illegal everywhere and you can be strictly punished for that. Many countries have a strict law for the punishment of hackers. But it also has a prize to risk for though we are leaving this on your wisdom as do not promote any kind of hacking activities. If you take this from another perspective, it is not fair for the developers as they have invested hundreds of hours of hard work to create this masterpiece. Is AR The Future Of Video Games Industry?